This Glastonbury recessed shower valve with fixed head and riser kit encapsulates both splendour and practicality. 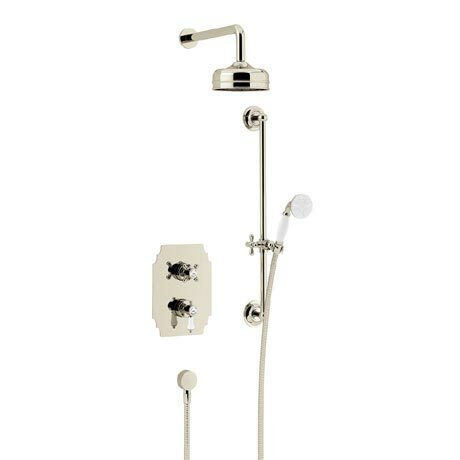 With its large 6" fixed head, premium handset and easy to use lever control and ceramic handle this shower perfectly combines a calm nostalgia with the invigorating ambiance of the roaring twenties. Available in chrome and gold and quality assured by a 5 year guarantee.